I wish this weren’t true. 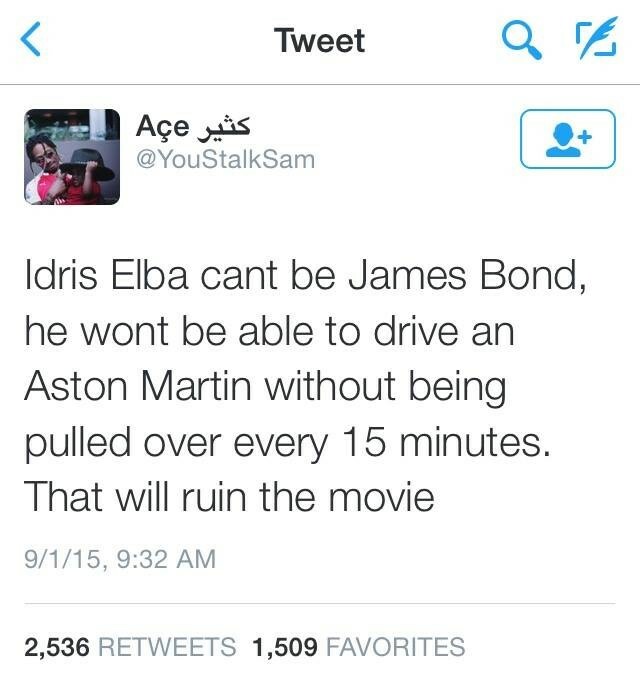 Oh and BTW: I think Idris Elba would be a GREAT James Bond! He has the physical presence and class of the character, very similar to current excellent star Daniel Craig. Huzzah to both of them. They are both good actors.